As research encompassing neuroimaging and genetics gains momentum, extraordinary information will be uncovered on the genetic architecture of the human brain. However, there are significant challenges to be addressed first. 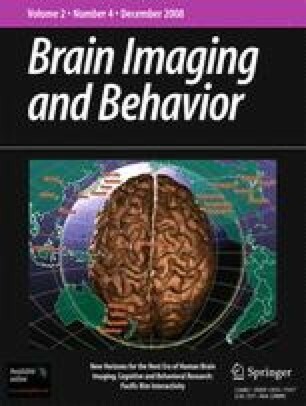 Not the least of these challenges is to accomplish the sample size necessary to detect subtle genetic influences on the morphometry and function of the healthy brain. Aside from sample size, image acquisition and analysis methods need to be refined in order to ensure optimum sensitivity to genetic and complementary environmental influences. Then there is the vexing issue of interpreting the resulting data. We describe how researchers from the east coast of Australia and the west coast of America have embarked upon a collaboration to meet these challenges using data currently being collected from a large-scale twin study, and offer some opinions about future directions in the field. This research was supported by the National Institute for Child Health and Human Development, USA (Grant Number 1R01HD050735) and National Health and Medical Research Council, Australia (Project Grant 496682). Luciano, M., Lind, P., Deary, I., Payton, A., Posthuma, D., Butcher, L., Bochdanovits, Z., Whalley, L., Visscher, P., Harris, S., Polderman, T., Davis, O., Wright, M., Starr, J., de Geus, E., Bates, T., Montgomery, G., Boomsma, D., Martin, N., & Plomin, R. (2008). Testing replication of a 5-SNP set for general cognitive ability in six population samples. European Journal of Human Genetics. doi: 10.1038/ejhg.2008.100.